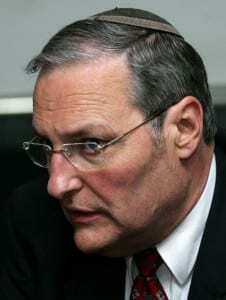 Against the backdrop of a resurgent far-right movement that won nearly 17% of the votes in recent elections and with increasing anti-Semitism in Hungary, Simon Wiesenthal Center Israel Director Dr. Efraim Zuroff, the Nazi hunter who tried in vain to bring Australian accused war criminals to justice, finds himself on trial in Budapest in a lawsuit filed by an Hungarian Nazi war criminal responsible for the murder of hundreds of Jews. “The person in question, Dr. Sandor Kepiro, was among a group of Hungarian army and gendarmerie officers who organized a mass murder of at least 1,250 innocent civilians (mostly Jews, the others Serbs and Roma) in the Serbian city of Novi Sad on January 23, 1942. After the war, Kepiro escaped to Austria and in 1948 arrived in Argentina, where he remained until 1996, when he returned to Budapest. There are indications that he was tried again in absentia in 1946 and was again convicted. In the summer of 2006, the Center received information that Kepiro was still alive and I tracked him down to a brownstone in the Hungarian capital at 78 Leo Frankel Street, right opposite a functioning synagogue. (For the full details on the amazing story of how I found him, see the chapter on Kepiro in my recent book Operation Last Chance; One Man’s Quest to Bring Nazi Criminals to Justice, Palgrave/Macmillan, 2009.) On August 1, 2006, I submitted the evidence to the prosecutors, who informed me that there was no statute of limitations in Hungary on war crimes, genocide, and crimes against humanity and I asked that Kepiro’s original sentence be implemented. In February 2007, I was informed that the original sentence could not be implemented since it had been cancelled by a Hungarian court, but instead an investigation was opened against him for his role in the massacre at Novi Sad. That investigation has been proceeding ever since, but contrary to our expectation that Kepiro would be prosecuted, that has still not taken place. About a year ago, he was finally questioned and had to surrender his passport, but a request to put him under house arrest was rejected and he is still unprosecuted more than three years after the investigation against him commenced. Then I suddenly found myself on trial for exposing a Holocaust perpetrator and pushing for his prosecution. Instead of attending Kepiro’s trial, I found myself on trial for the ostensible offense of exposing and telling the truth about one of the persons responsible for a terrible mass murder. This was a strange and unprecedented experience for me, but the silver lining might be that the proceeding that he started against me might ultimately be his undoing as we expose his crimes, thereby increasing the pressure for his prosecution. That is my hope, and so despite the frustration and absurdity of being in the dock, perhaps some positive benefit can be achieved in this case and the truth and justice be served.